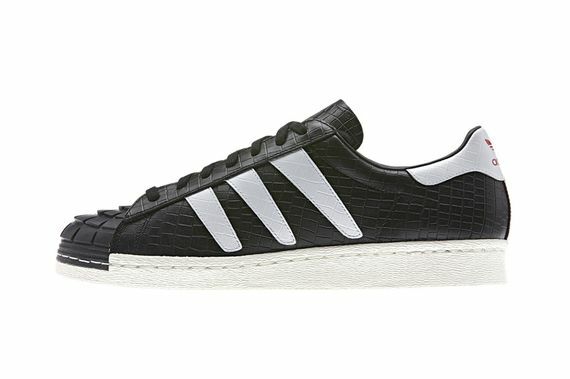 adidas Originals Superstar - "Predator"
The crew over at adidas has given new life to the Superstar, and the fresh faced kicks are unlike any we’ve seen before. Ditching the typical shell-toe for a cut/sculpted rubber look, these bad boys look tough. The Predator inspired kicks also feature a textured upper in black with white accents. The tapered three-stripes give these a whole new look while a classic white sole grounds things out. If you’re looking to get a little freaky in the footwear department head over and score your pair now.